For diabetics, there is a high risk of diabetic foot ulcers. The nerves and blood vessels are severely damaged due to the diabetes. In the worst case, even the foot must be amputated. 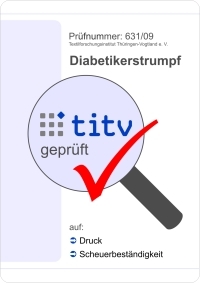 But there is help for diabetics. 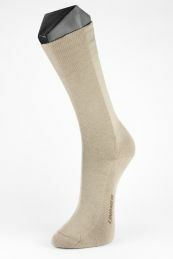 The solution for healthy feet are silver stockings. 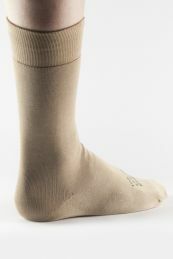 The stockings LINDNER are made of a silver-containing special yarn and particularly well suited for their specific processing for the high demands of diabetics. Since silver is one of the so-called anti-fungicides, it effectively prevents fungal diseases before. The silver fibers are made from the renewable resource cellulose and are therefore extremely environmentally friendly. They are mixed with combed cotton, spun into yarn and dyed. Thus are requires no synthetic fibers and a nearly pure natural product is made. 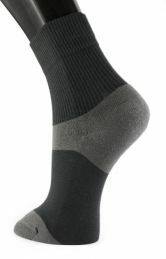 The natural silver is incorporated into the feed invisible yarn of the sock. The moisture loss from the skin triggers while wearing the active exchange of substances between the fiber and skin. This exchange of silver to produce the desired antibacterial effect. To protect the stockings from infection. Even the smell of bacteria can be effectively combated. Prevents the development of unpleasant odors. 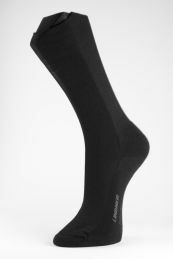 The LINDNER stockings are skin-friendly and durable. Even after many washes, the above properties are preserved. In addition, best wearability, high functionality and a perfect look to be guaranteed. 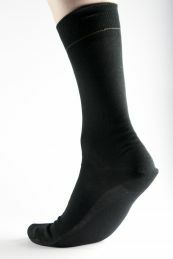 The stockings LINDNER not only look good, they are also easy to maintain. They can be safely at 30 ° C in the washing machine at the same time and thus save energy and protect the environment. So that they are environmentally friendly not only in manufacturing, but also in nursing. 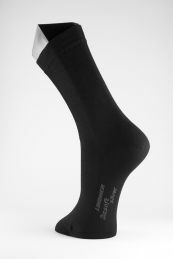 Native silver "cleans" your LINDNER socks while wearing virtually. All LINDNER products are subject to product testing in our Quality Management System. Should you have any complaints about our product, we ask you to contact your dealer or us.